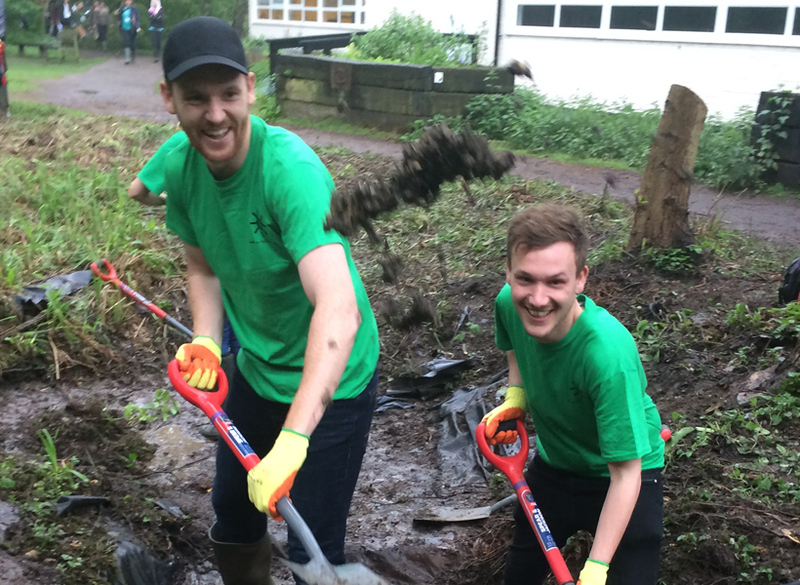 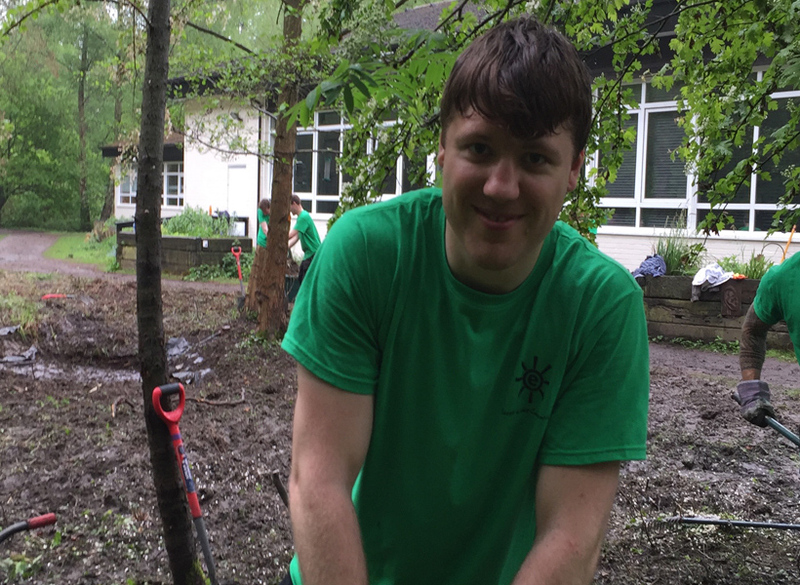 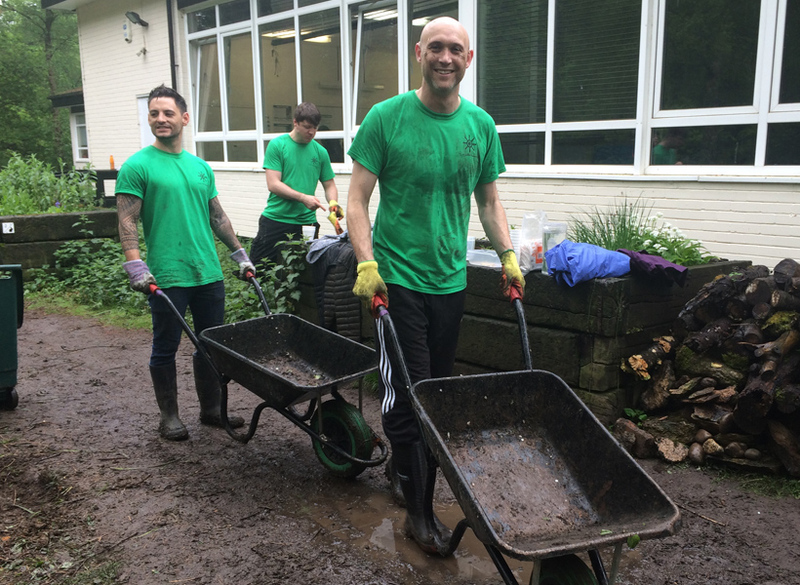 This week may have looked like the end of our short summer, but for our staff, Project Sunshine kicked off and the team weren’t letting the rain get in their way! 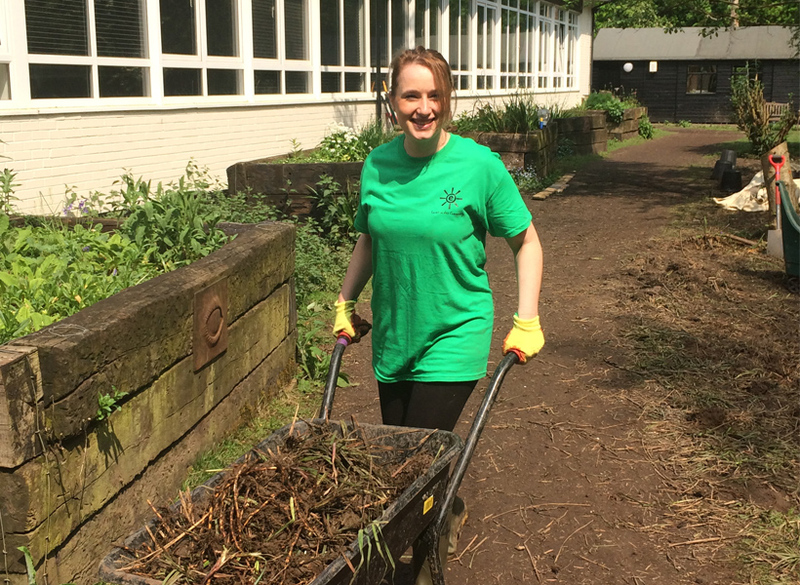 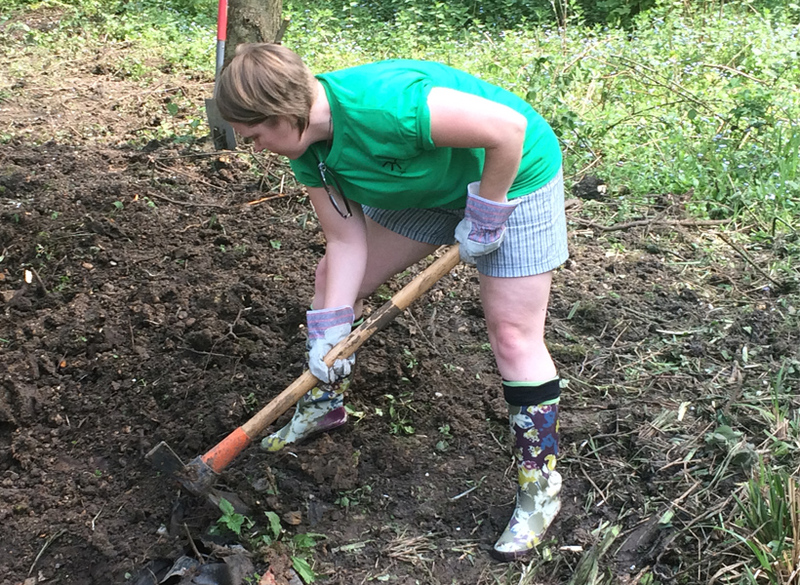 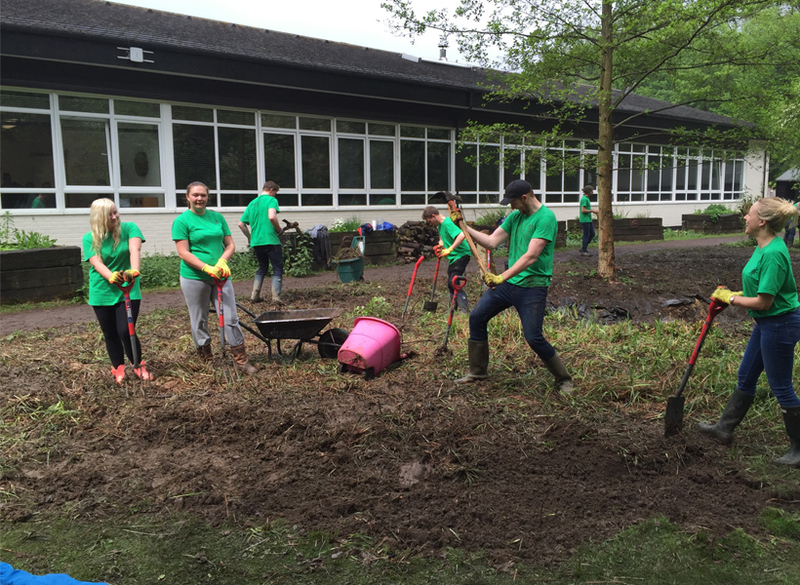 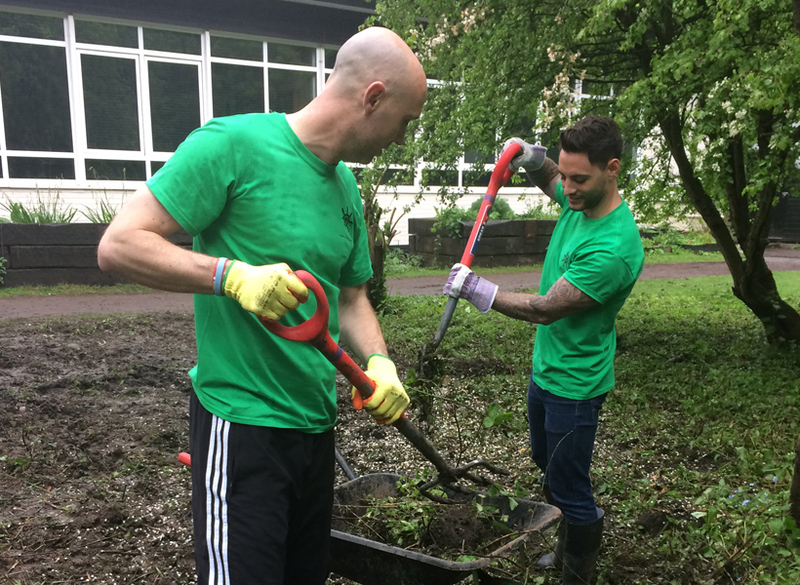 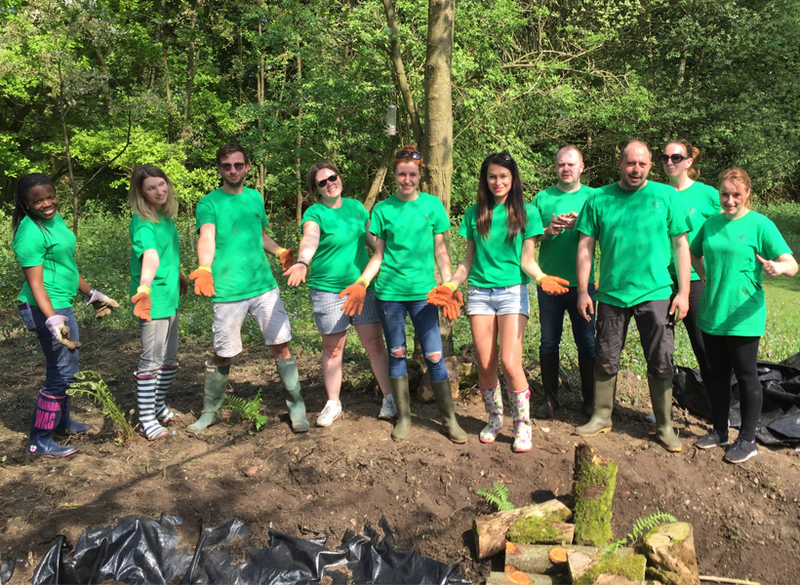 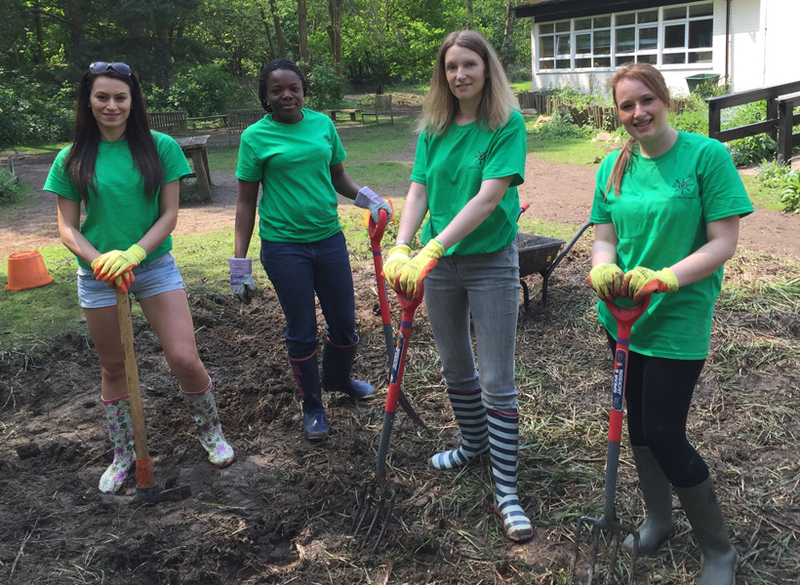 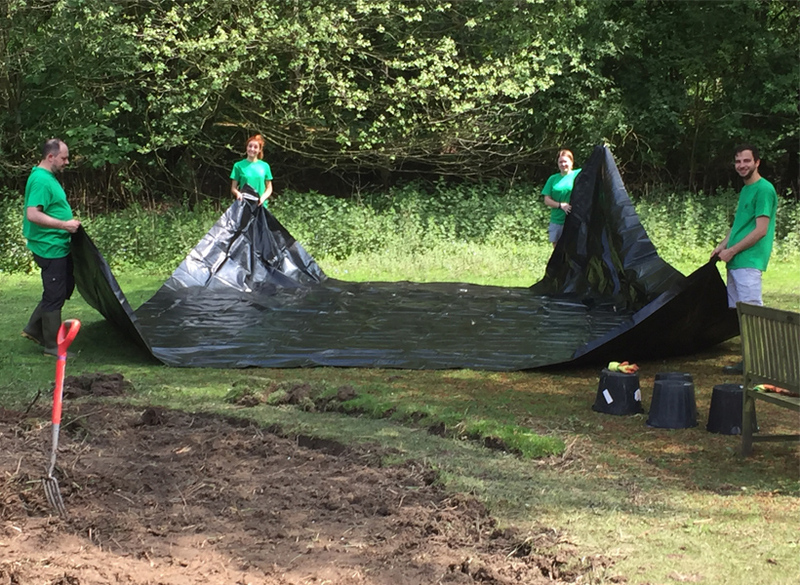 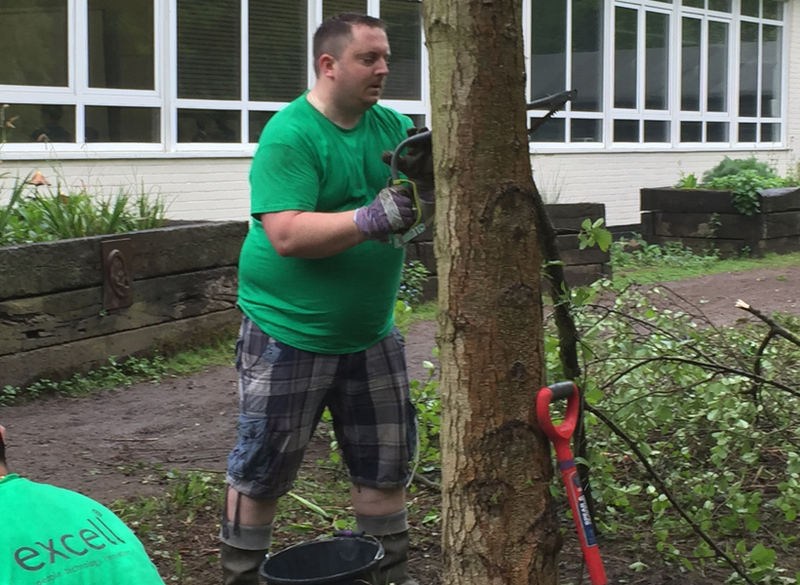 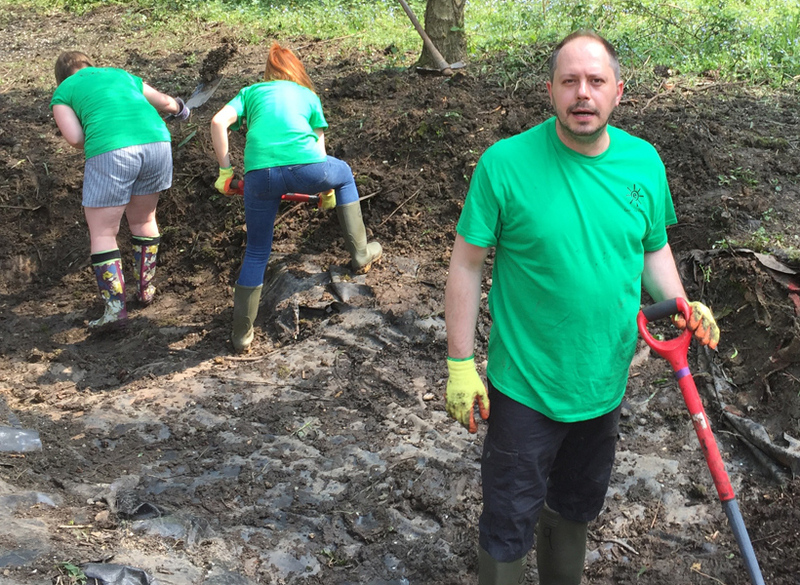 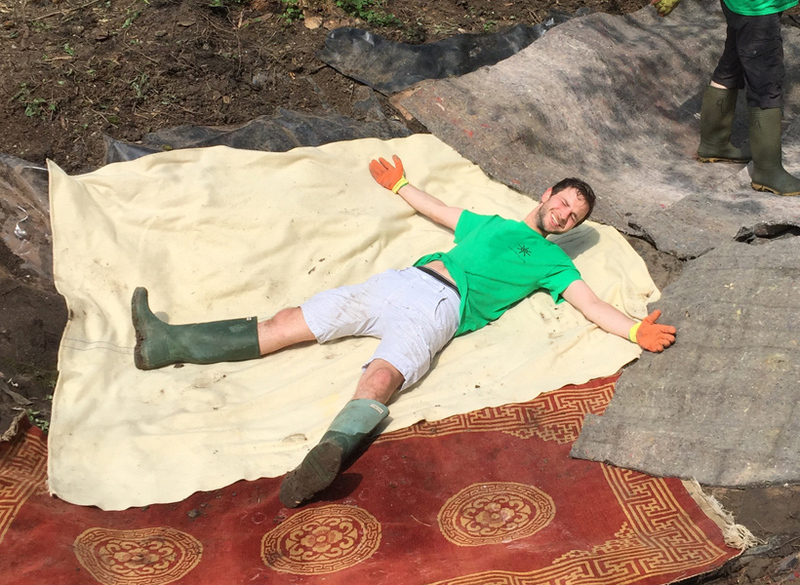 Taking place over three days with approximately 50 members of staff involved, this yearly project enables Excell to support several different local charities. 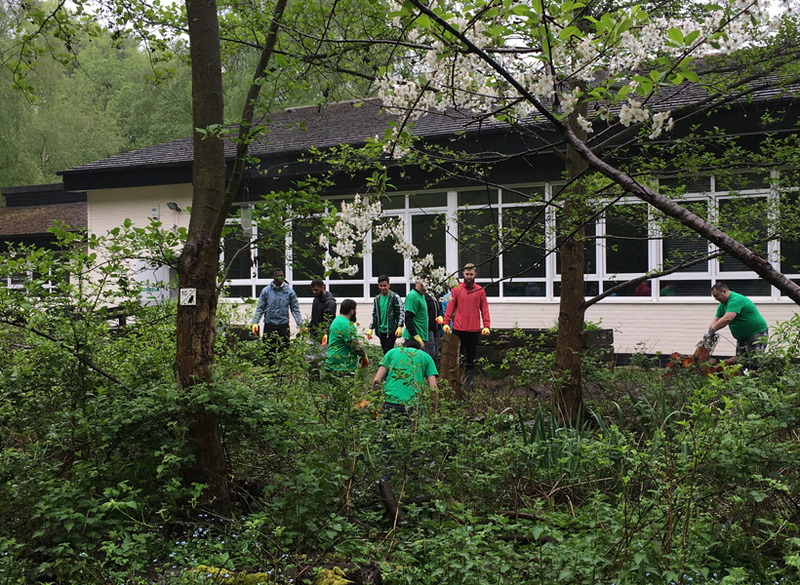 Epping Forest Field Centre, set in Epping Forest (near Loughton) is a purpose-built non-residential Centre located in a conservation area, set amongst six acres of land. 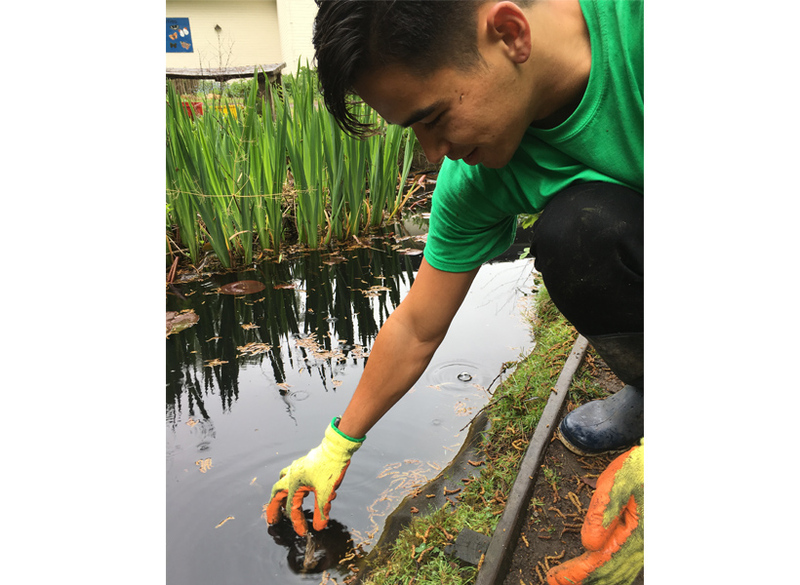 Established in 1970, the Centre provides an environmental learning service for the city of London, specifically for disadvantaged children, young people and families, those living in areas of socio-economic deprivation and children with special needs. 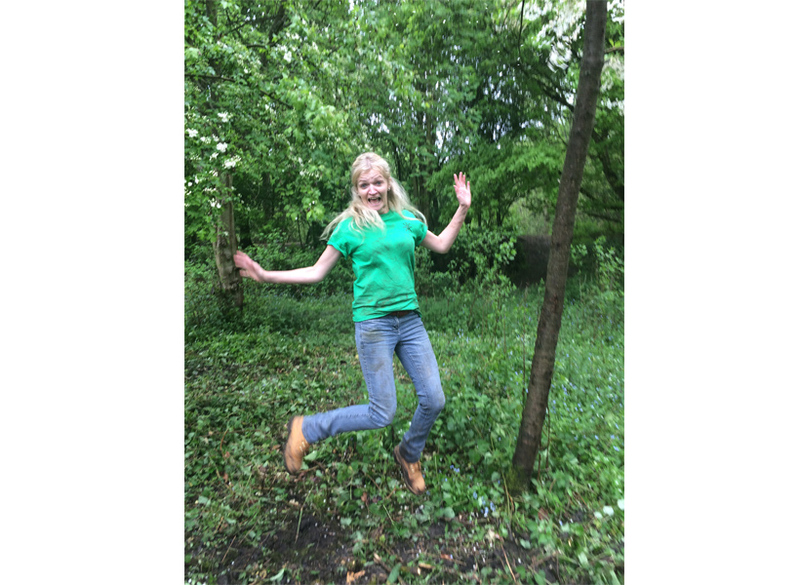 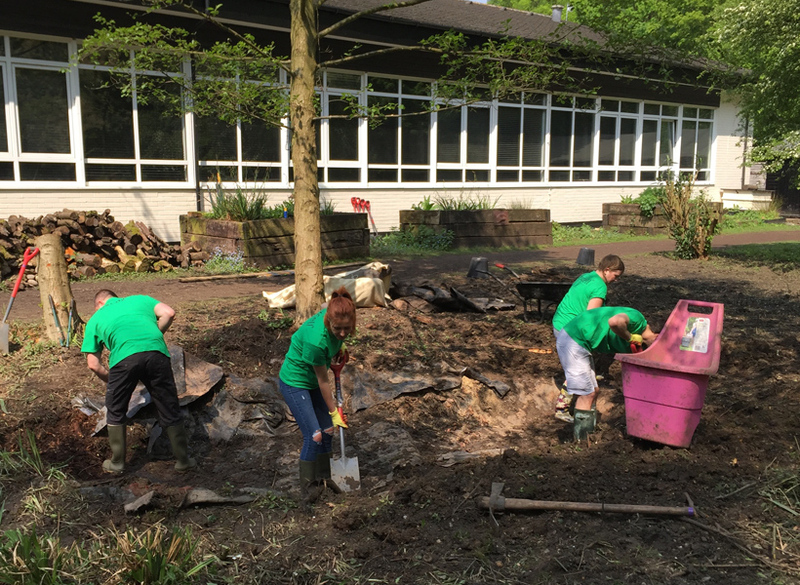 The Centre targets children who have little or no experience of the natural world and provides opportunities for children who could not otherwise have access to nature. 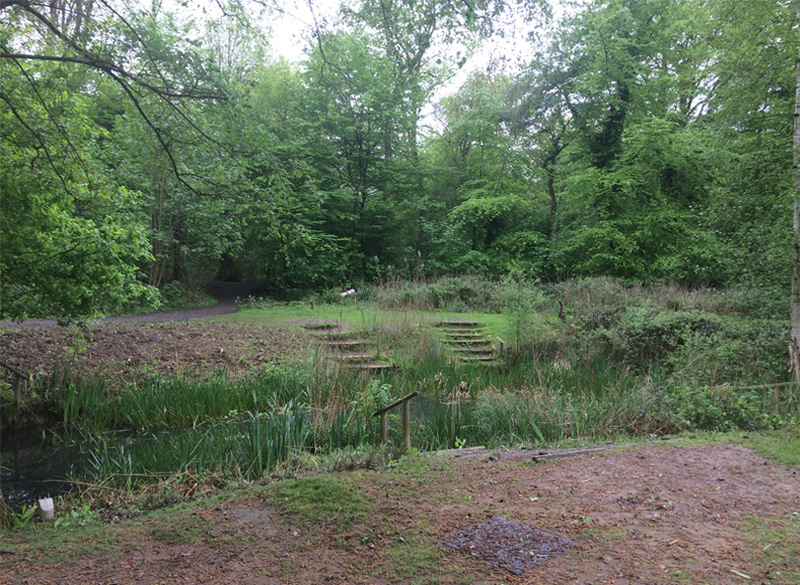 The Centre encompasses a range of beautiful habitats including ponds, a bird garden, a sustainable garden and several nature walks. 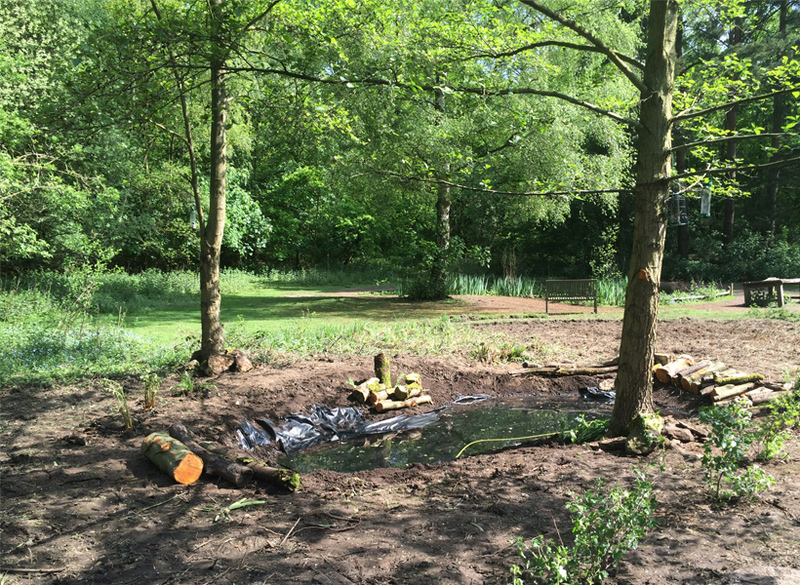 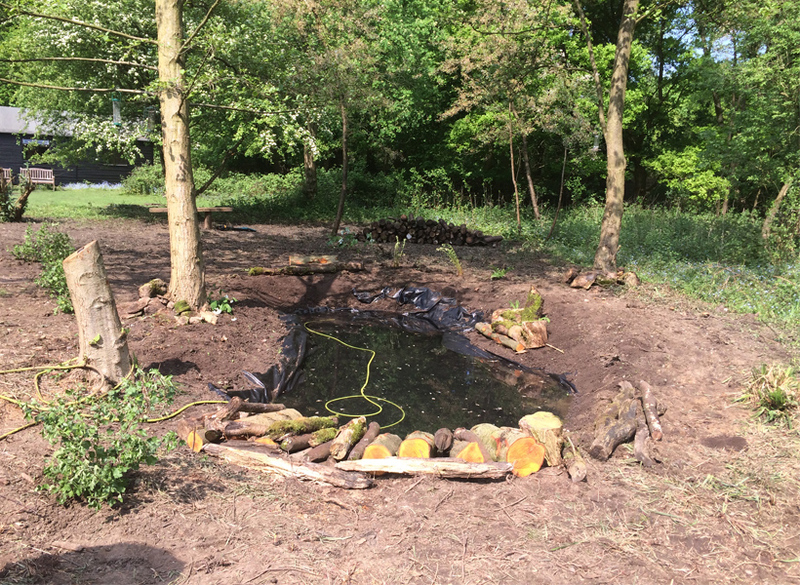 The aim of the project was to assist Epping Forest Field Centre in creating a quiet and peaceful site for visitors, as well as reintroducing a large pond to the area, enabling specialist pond plants to re-establish insects and help to maintain an eco-balance in this part of the forest. 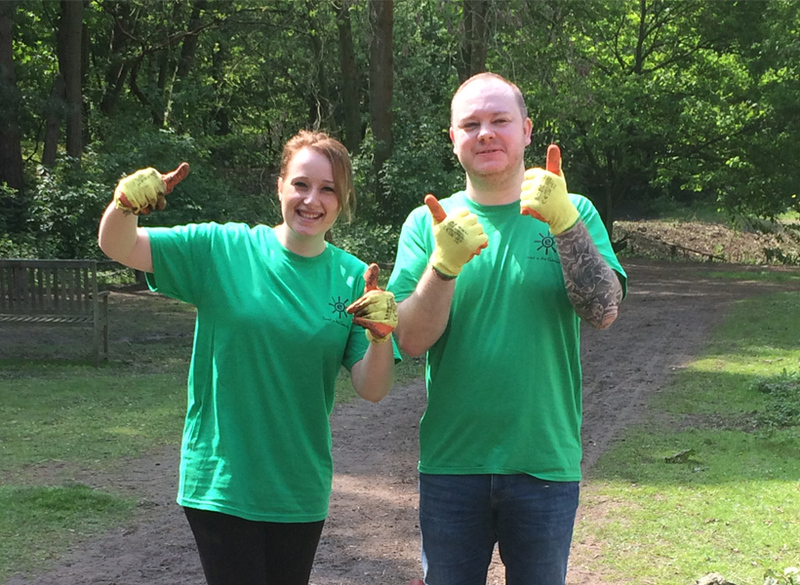 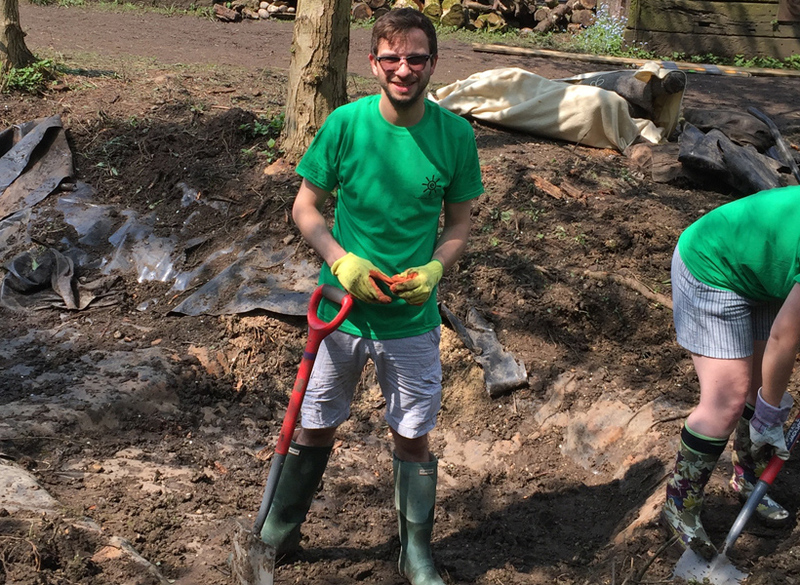 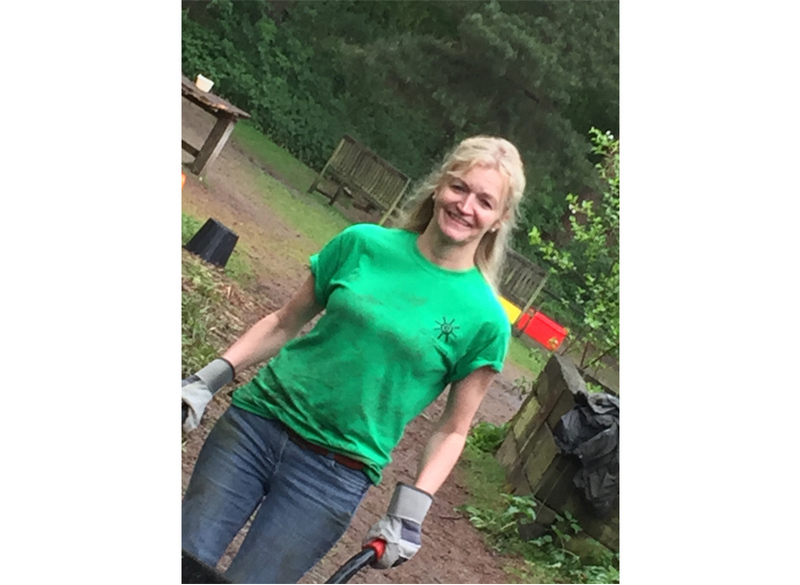 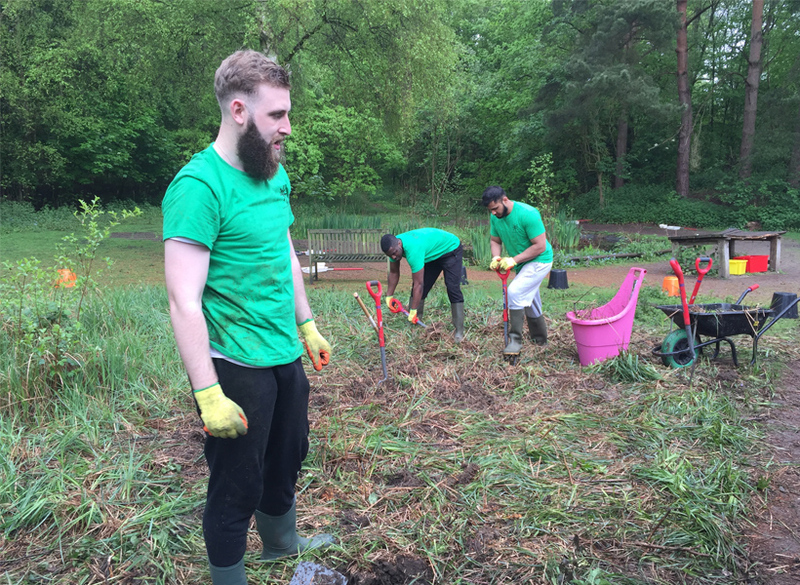 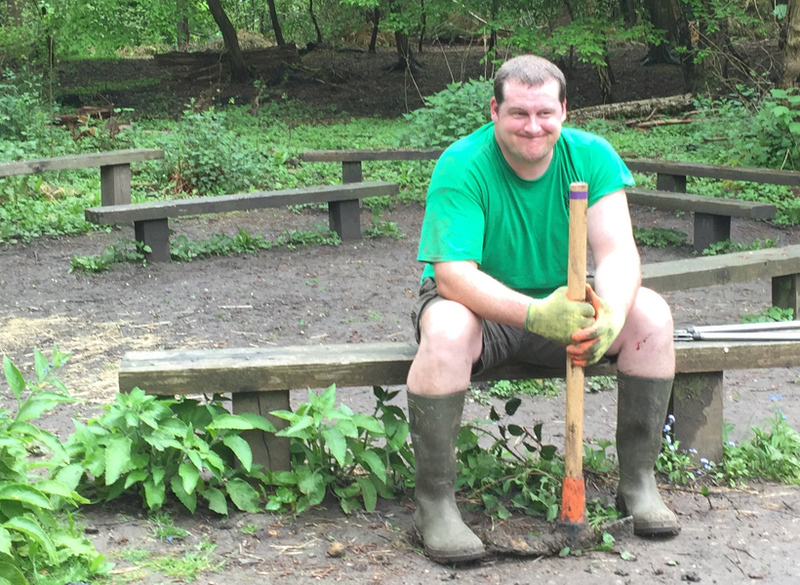 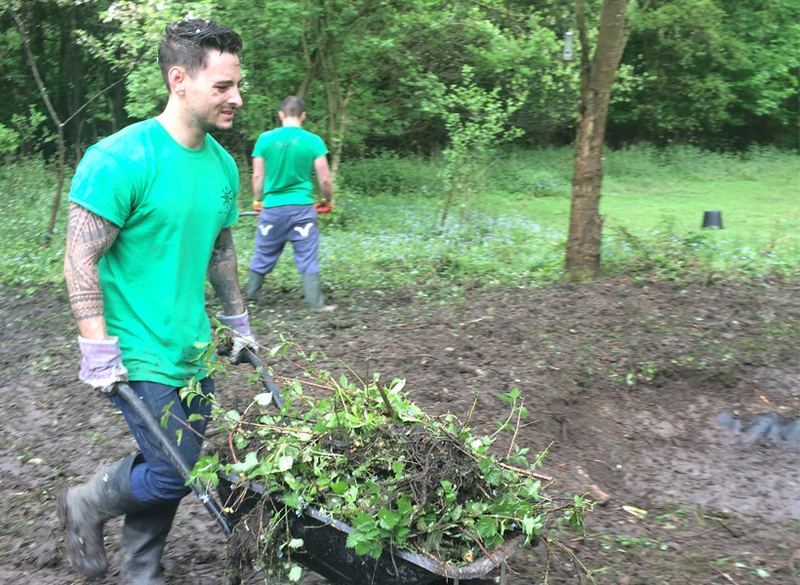 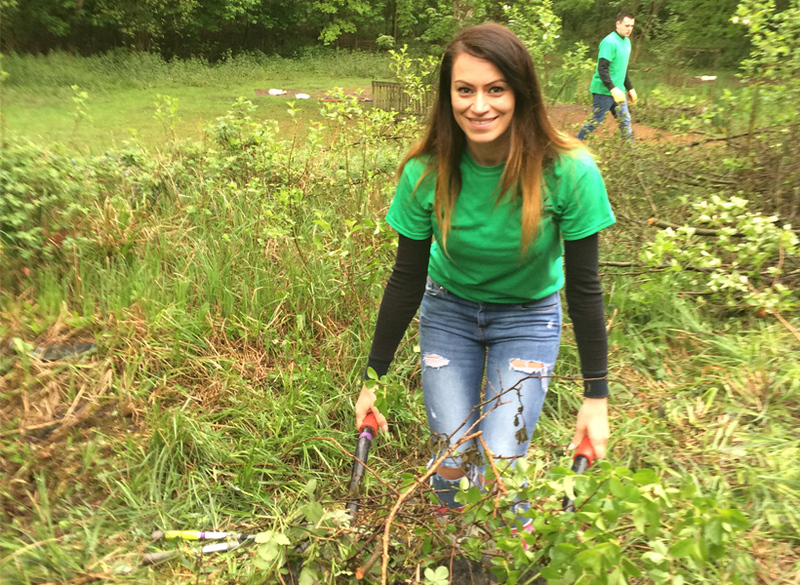 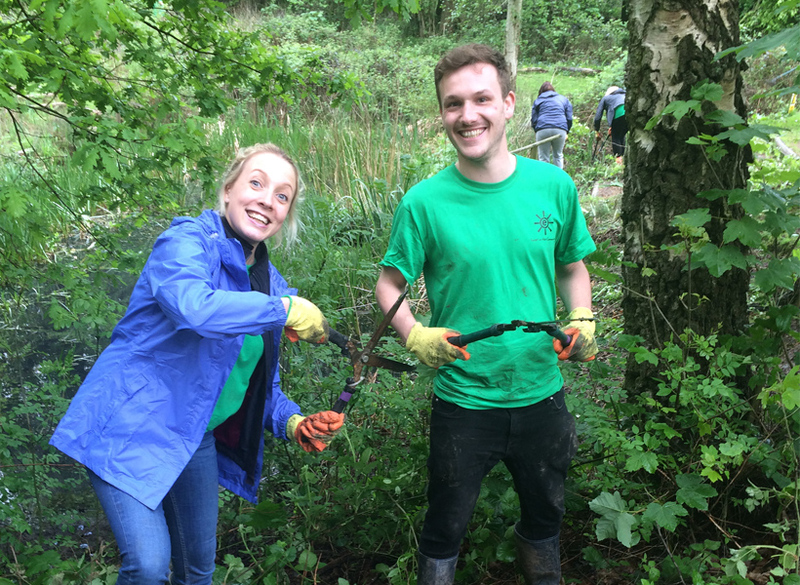 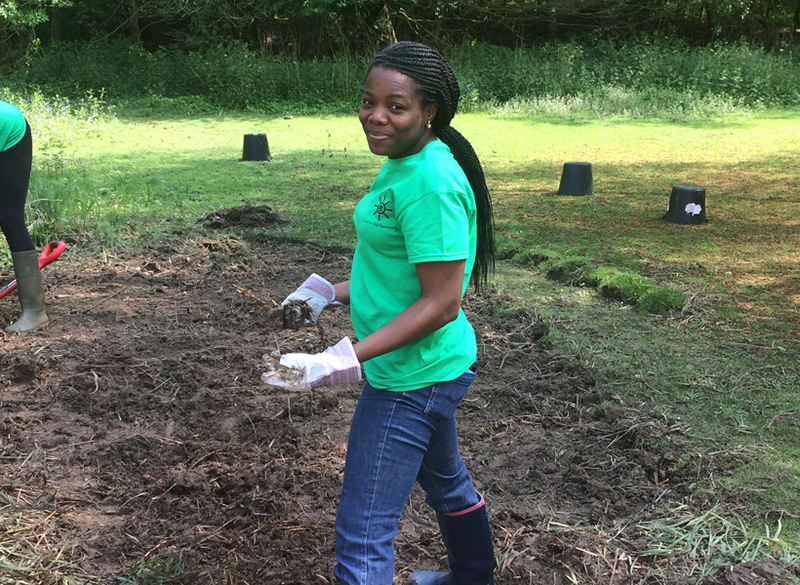 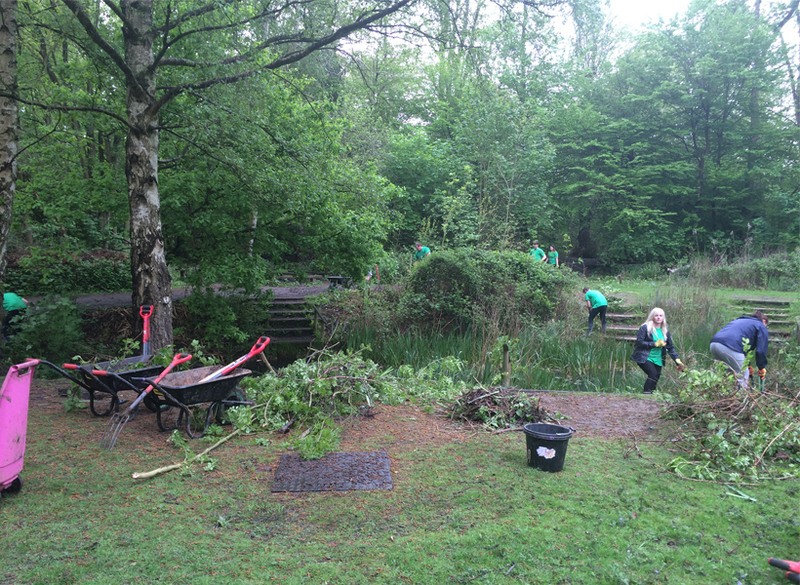 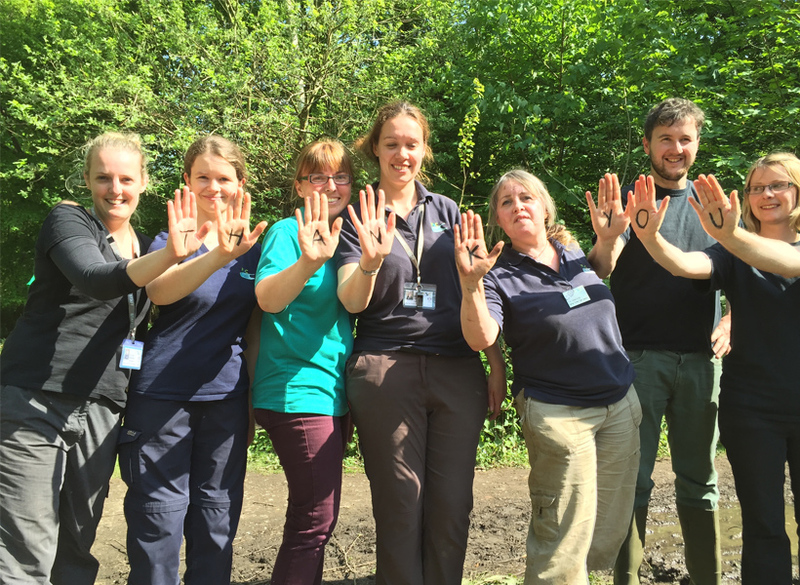 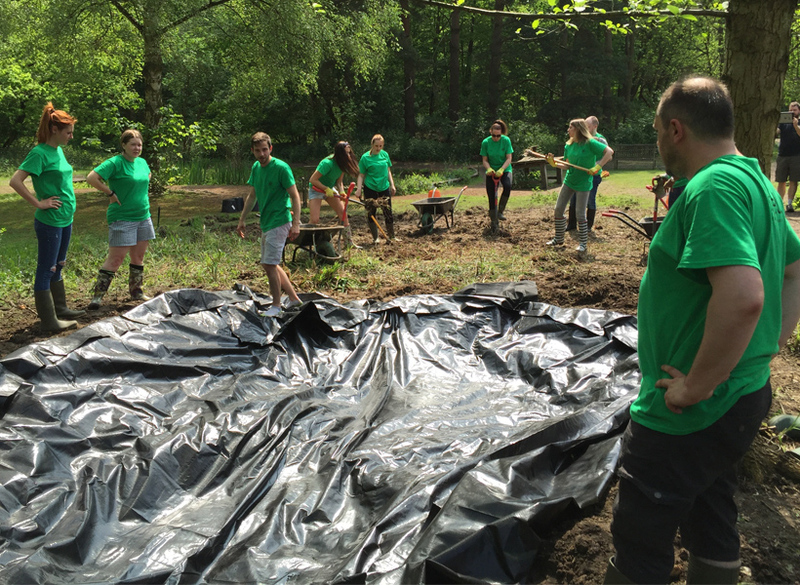 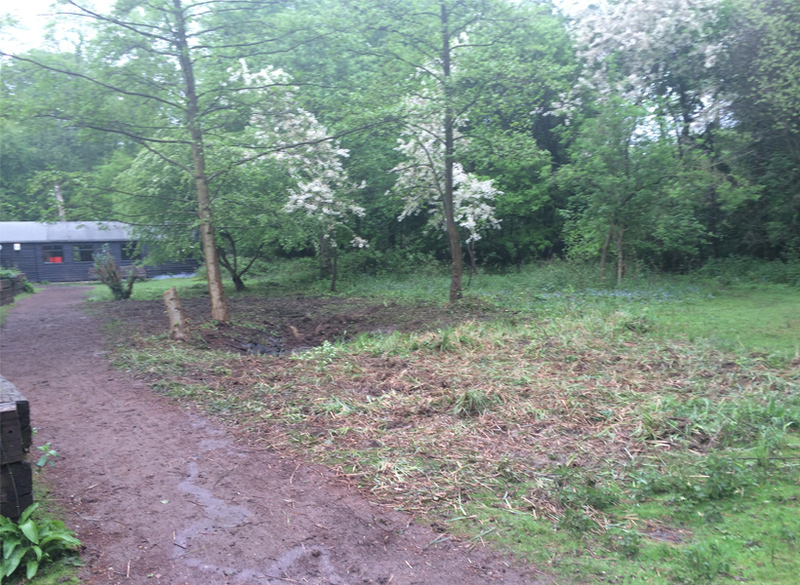 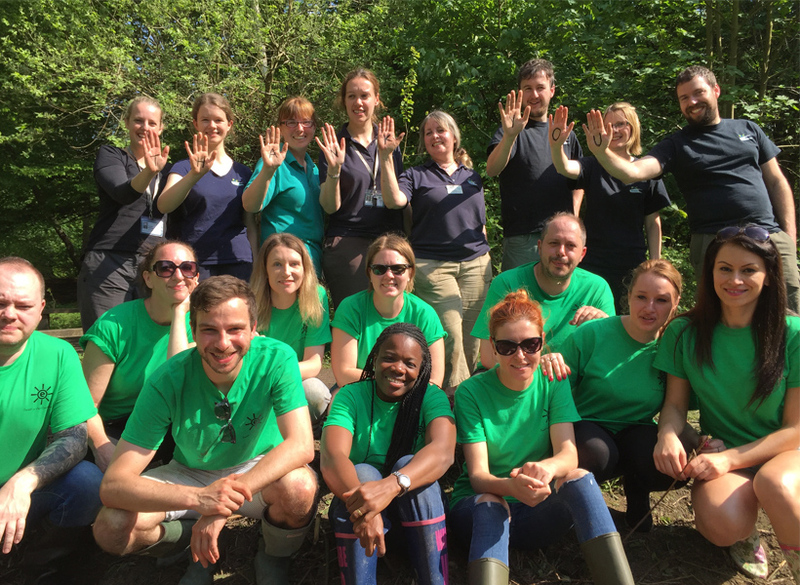 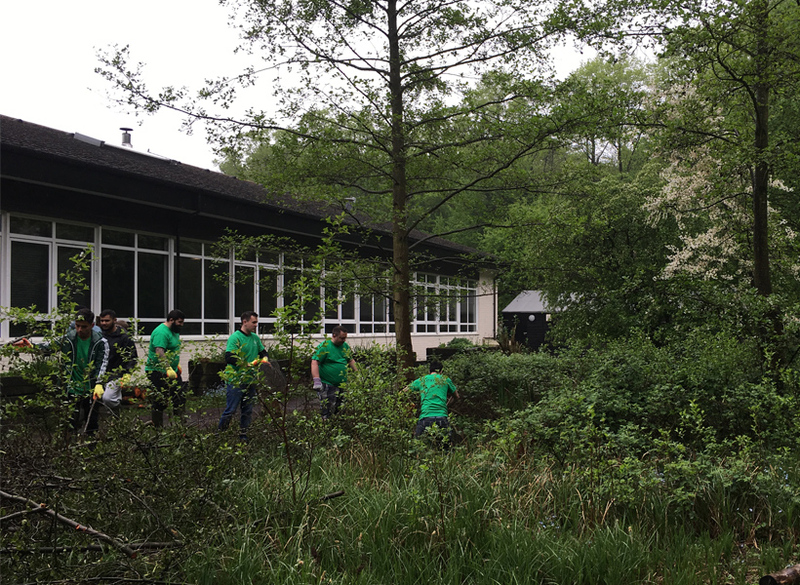 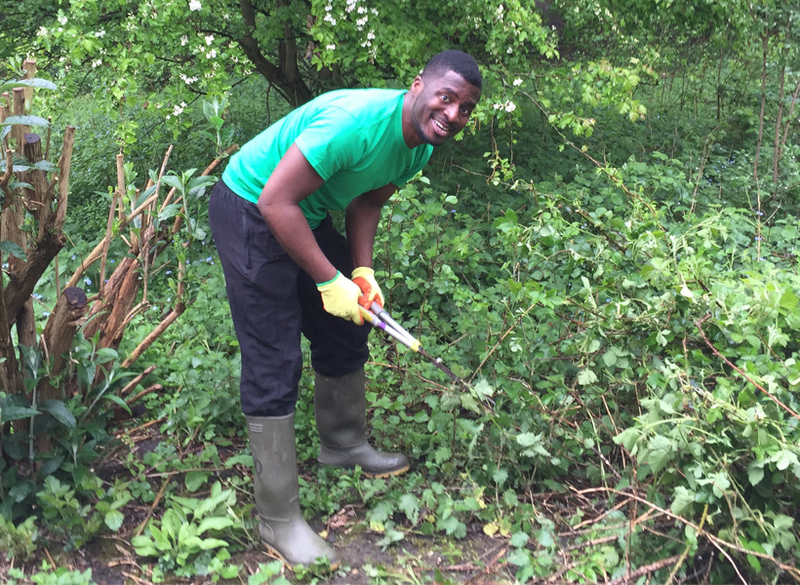 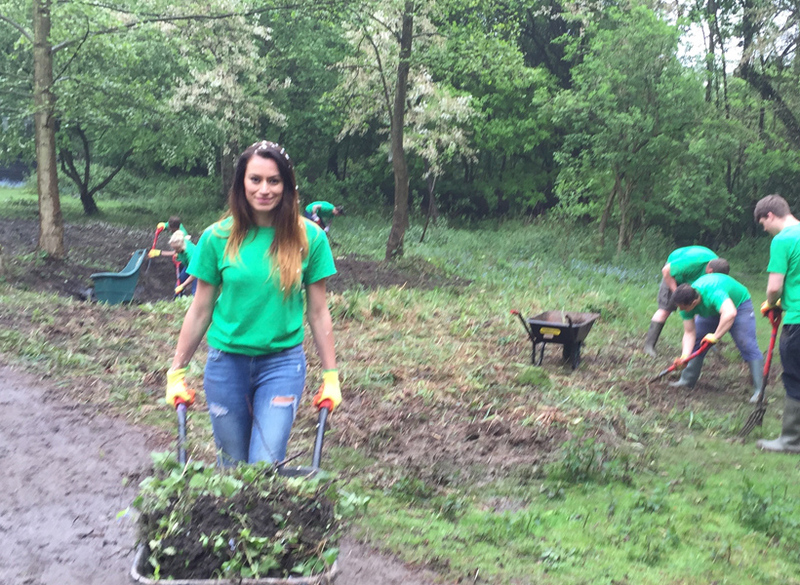 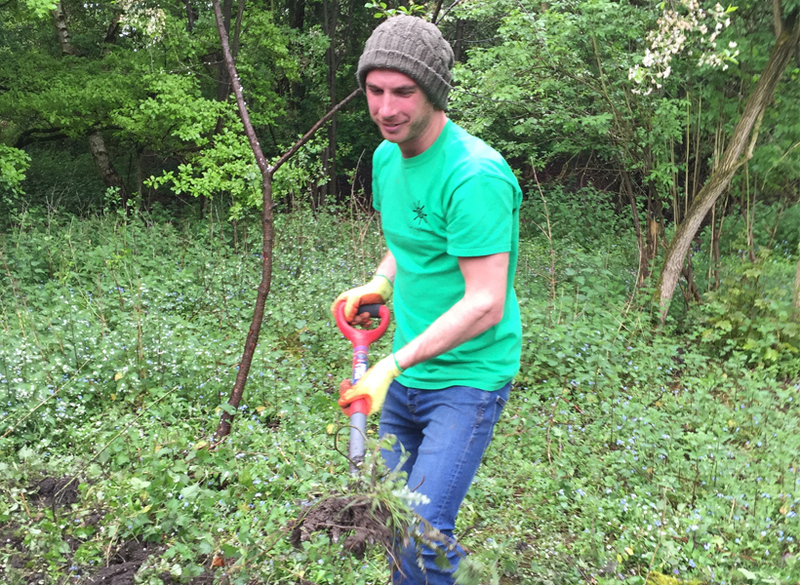 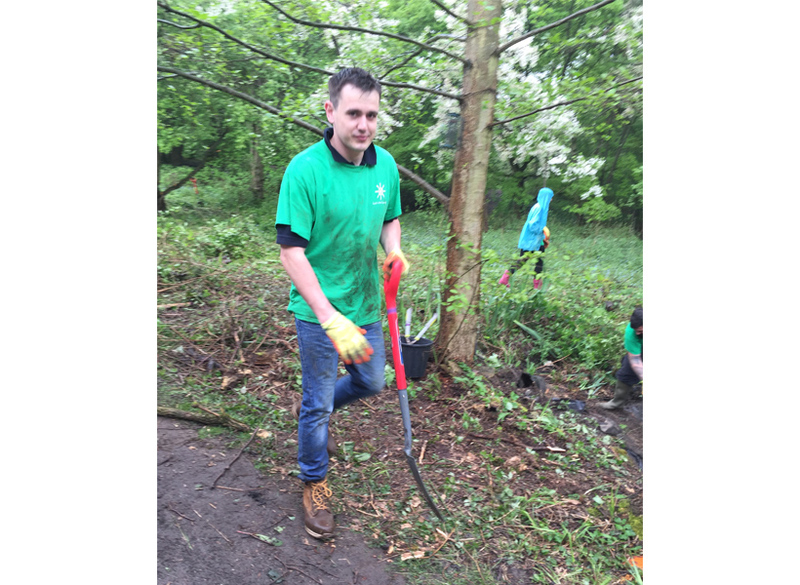 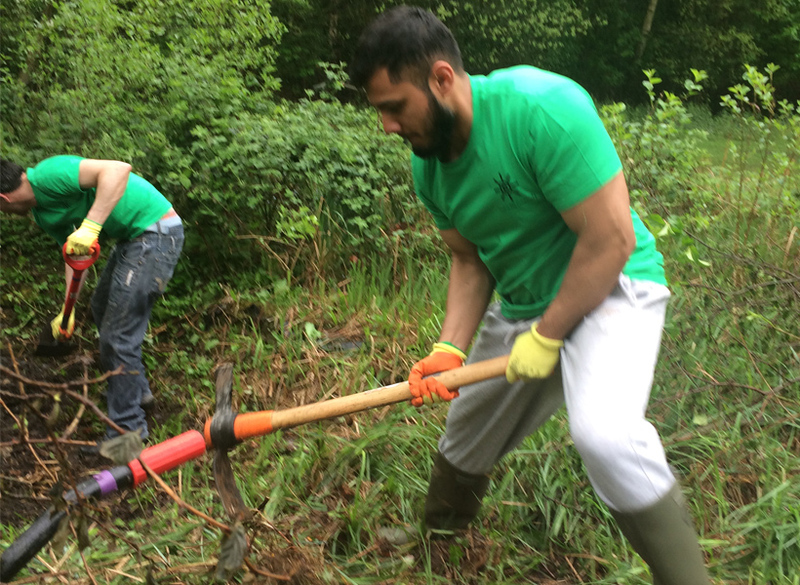 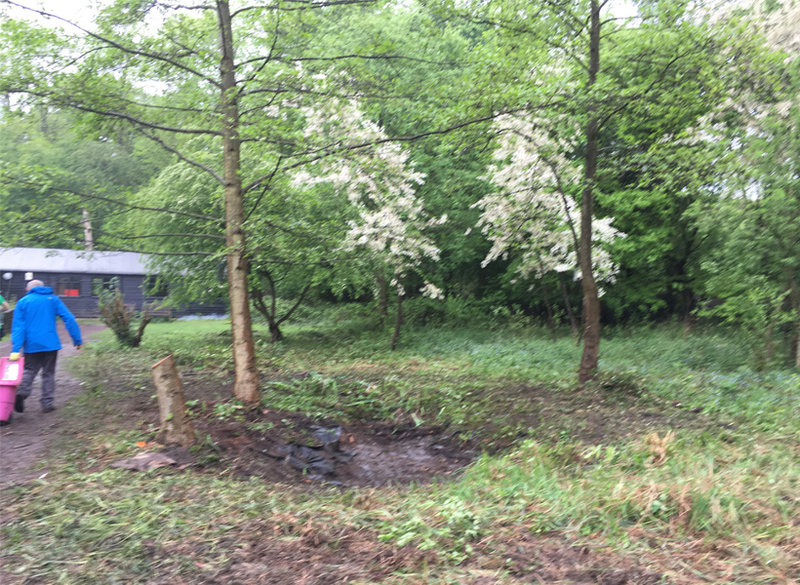 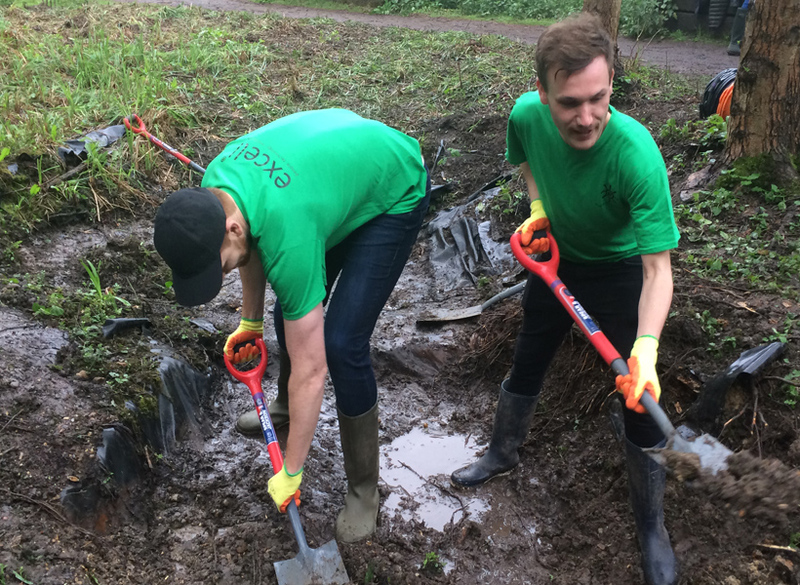 Over three days, our staff were tasked with clearing a large area of shrubs and vegetation and renovating a pond area which had been left untouched and overgrown for a number of years. 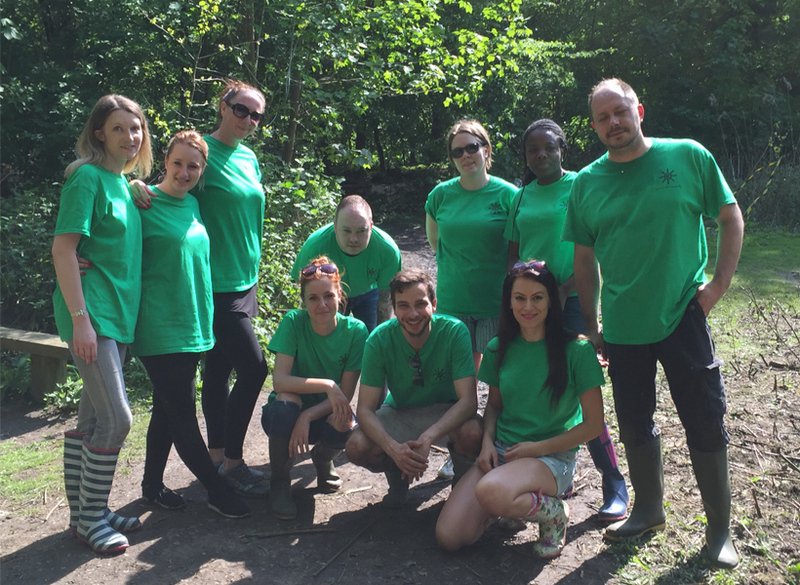 Excell staff worked together as a team and thoroughly enjoyed the day with only a few scratches and aches to show for. 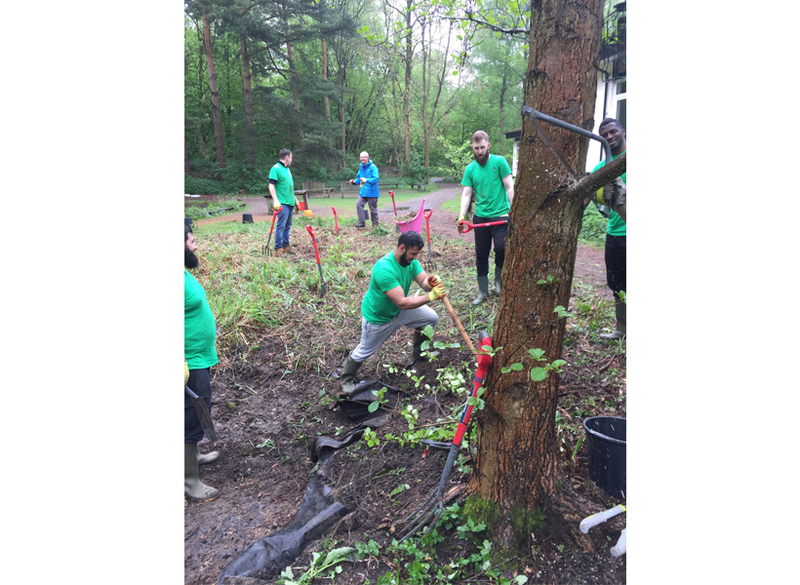 This was the first Project Sunshine for 2016 and more will be planned throughout the year, we’re already looking forward to the next! 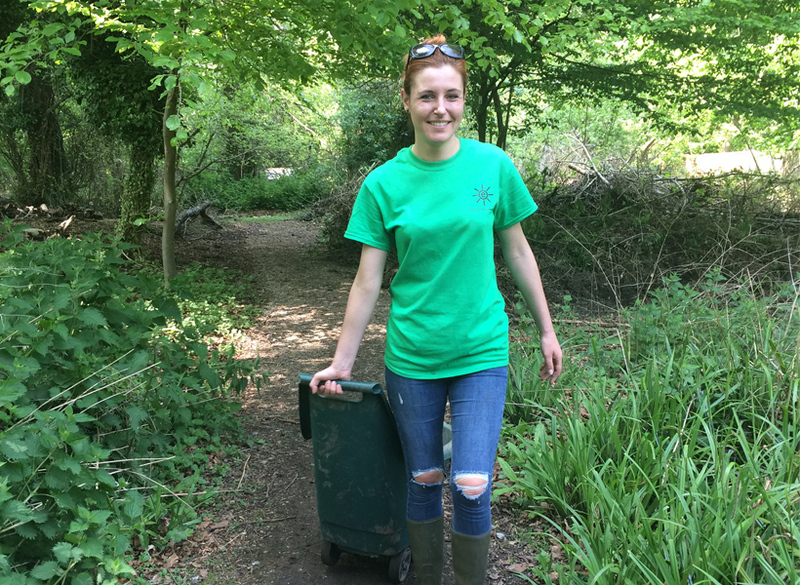 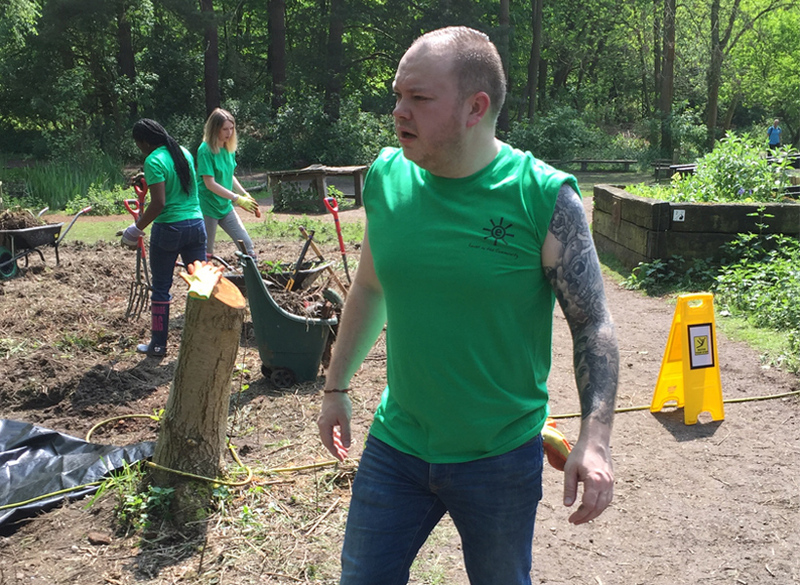 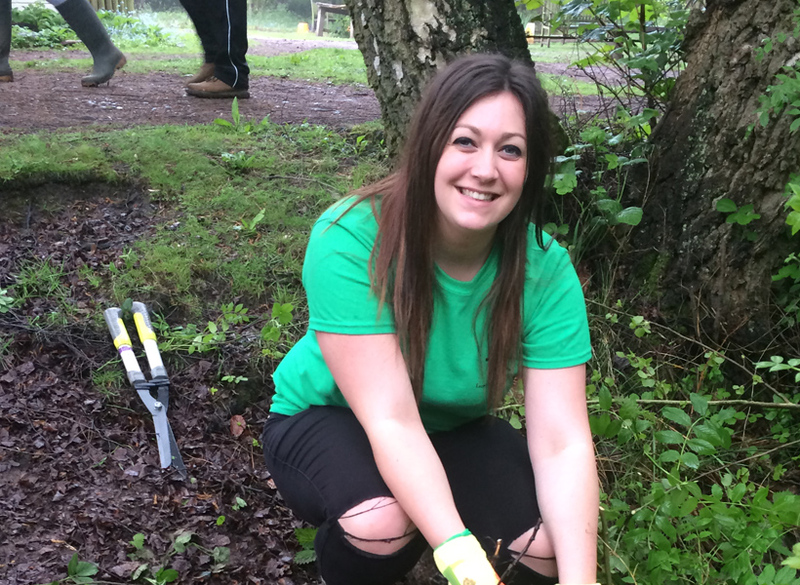 Project Sunshine is an on-going project that sees staff getting out of the office and into the community, each employee is given two days out of the office over the course of a year to get involved in projects that impact on their local communities. 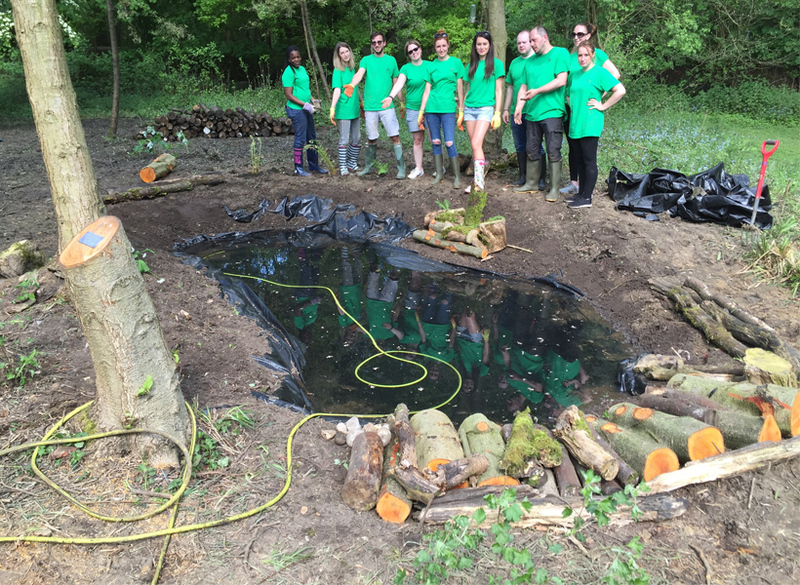 The first project was undertaken by the Red Team in October 2011 at the Huntingdonshire Community Nursery Project. 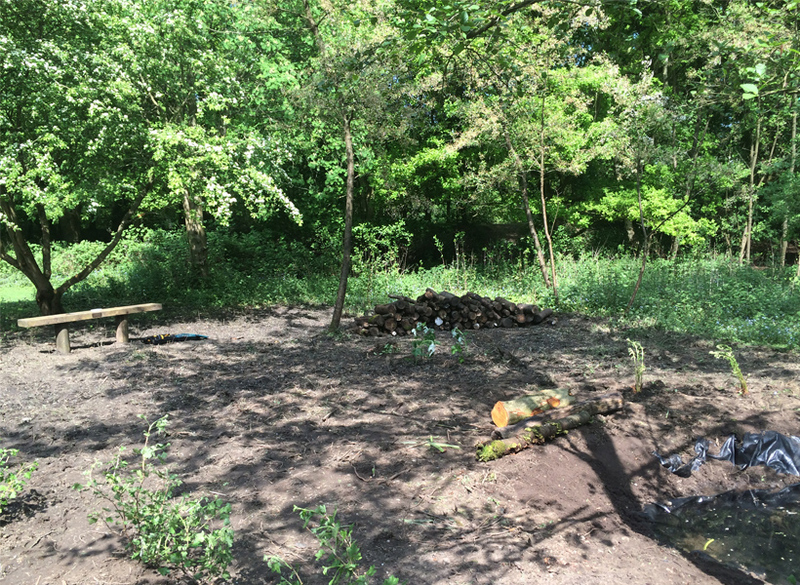 – read more about this project & view photos. 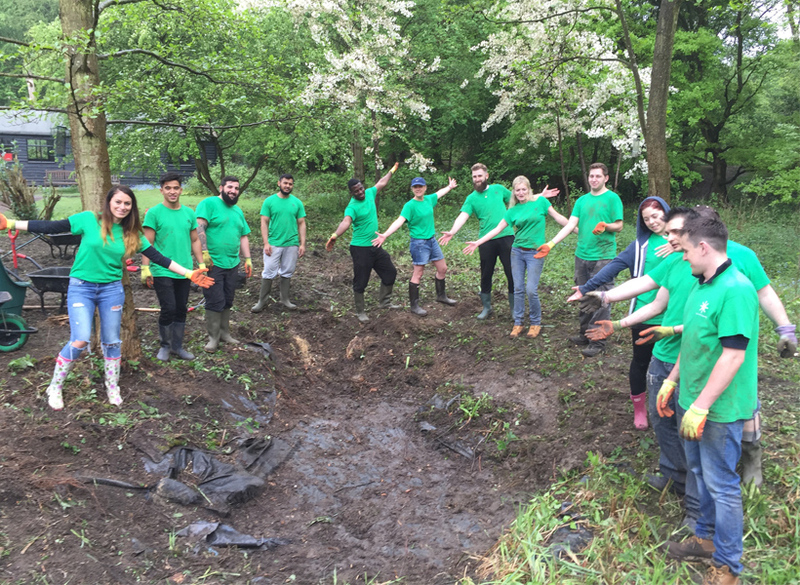 The Blue Team’s project took place in November at Freightliners Farm, Islington. 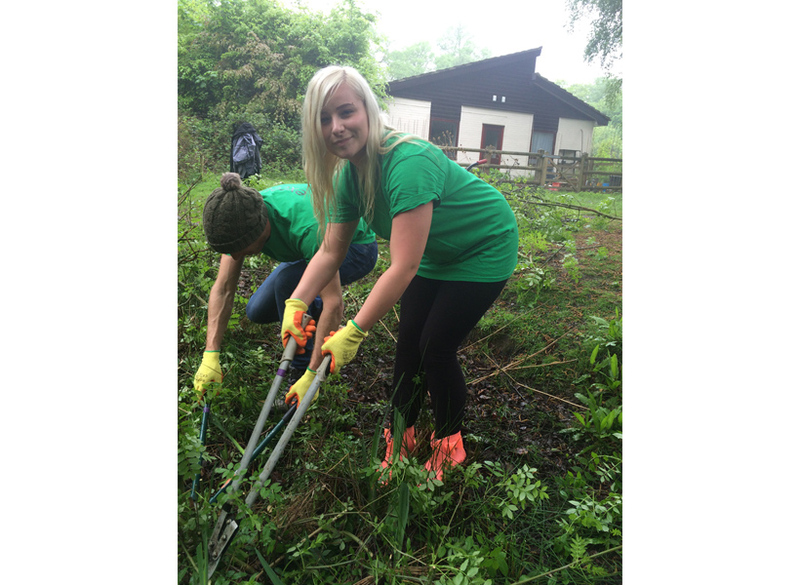 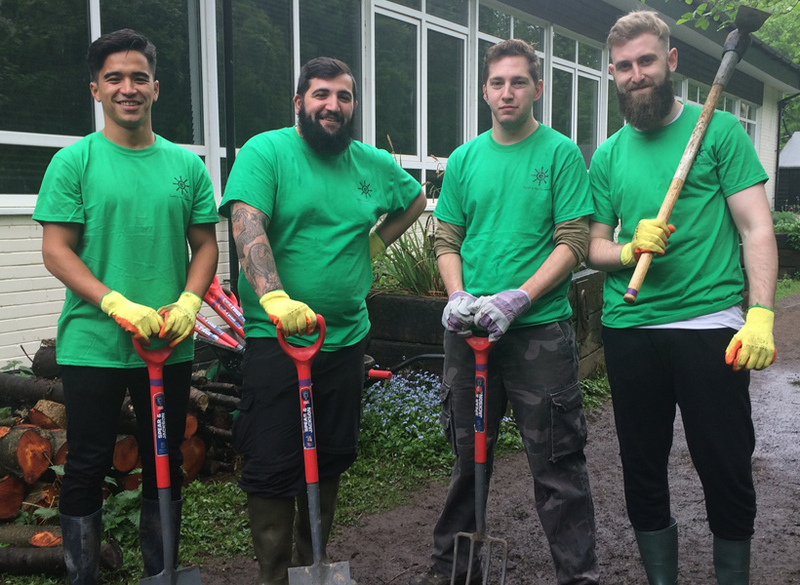 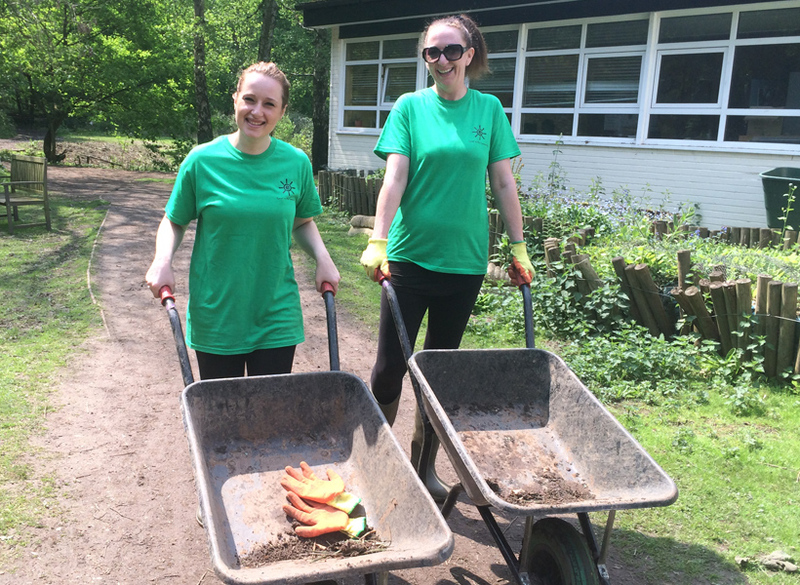 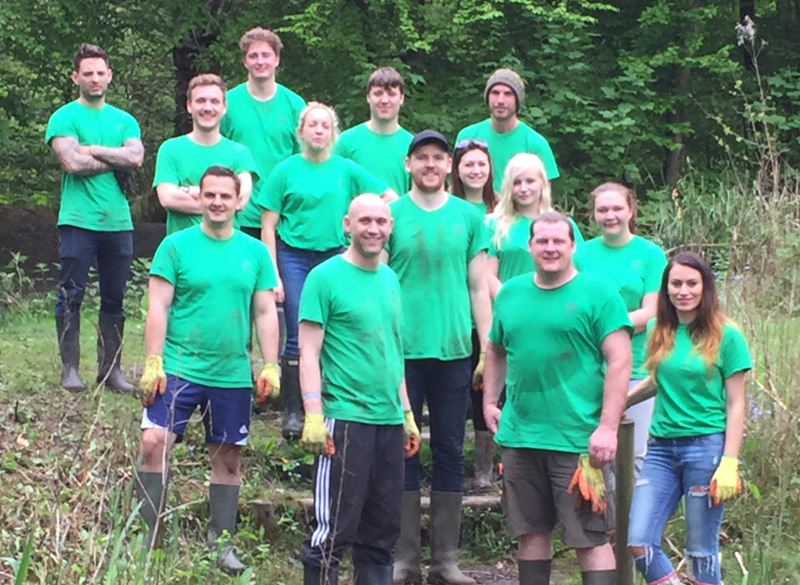 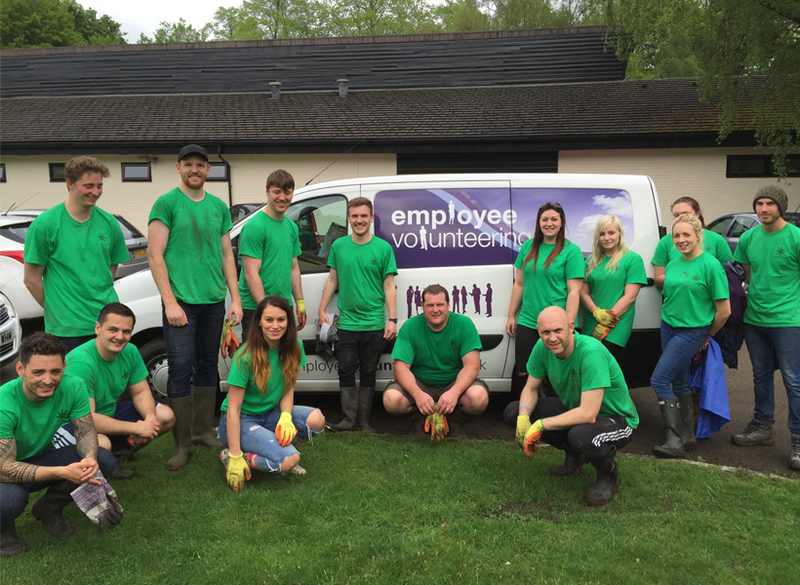 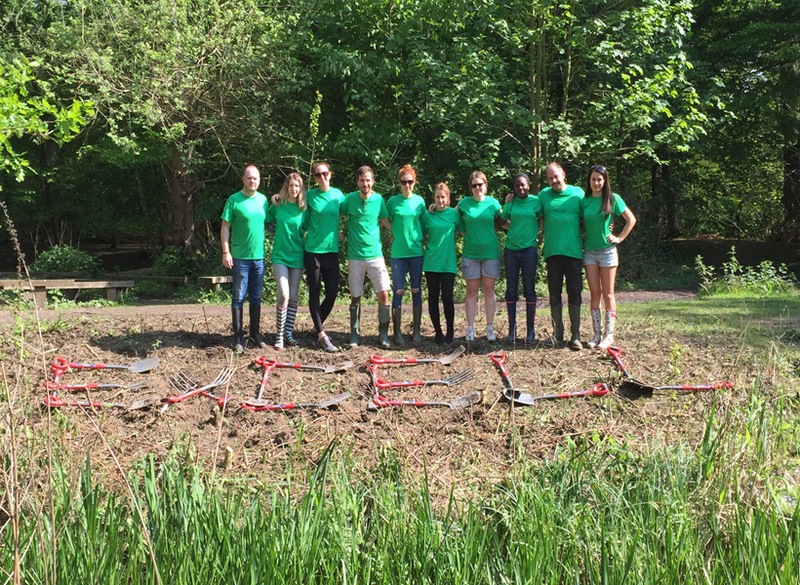 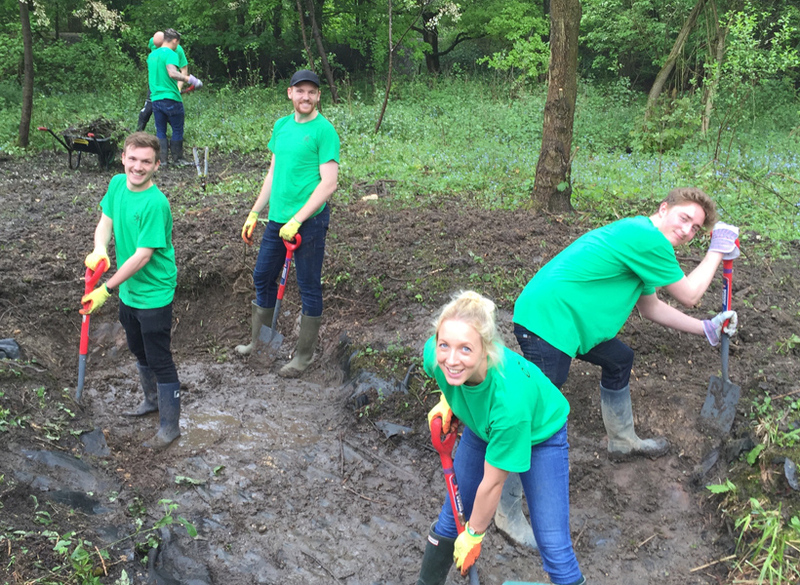 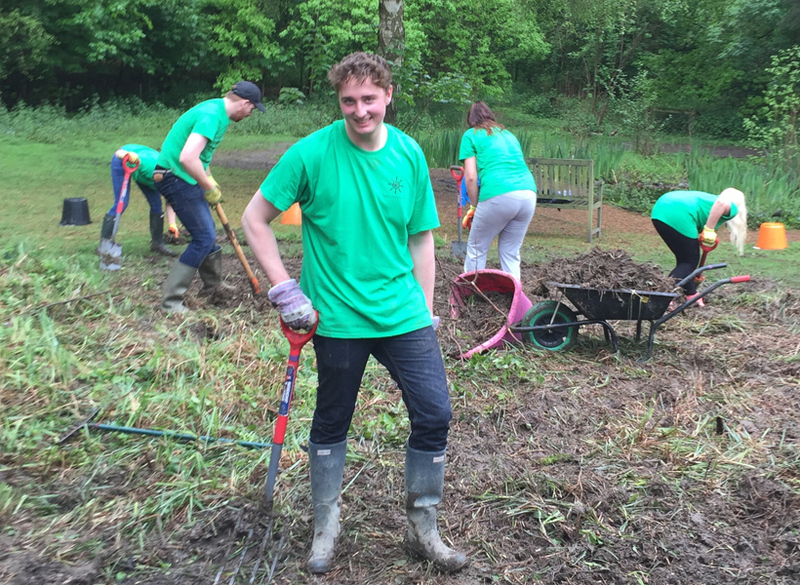 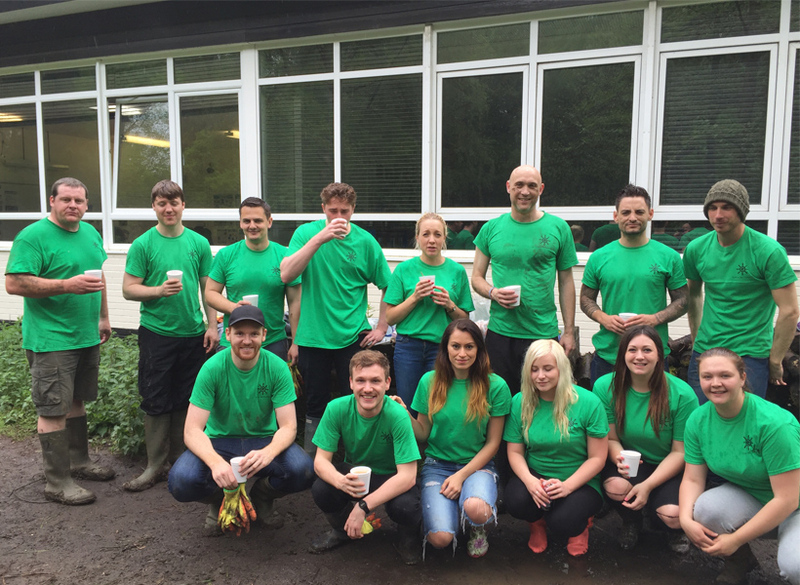 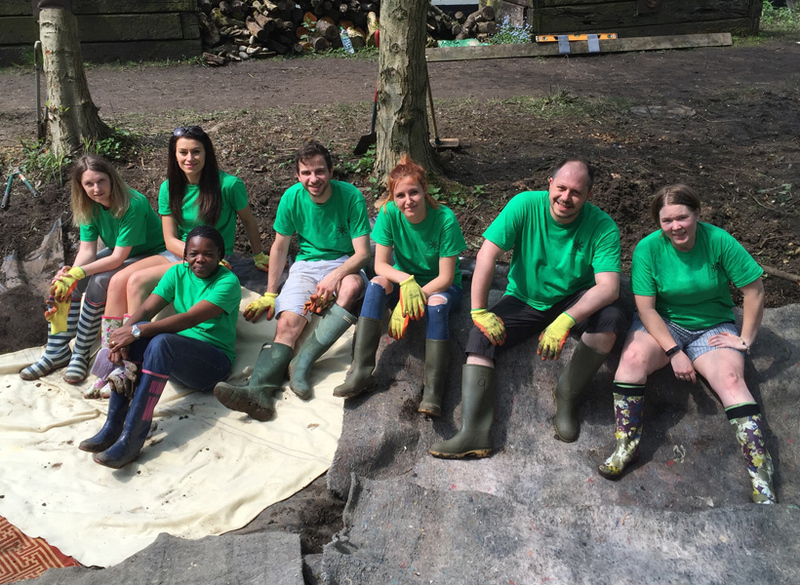 The Green Team recently completed their project at Snakehall Farm on behalf of The Prospects Trust in September.